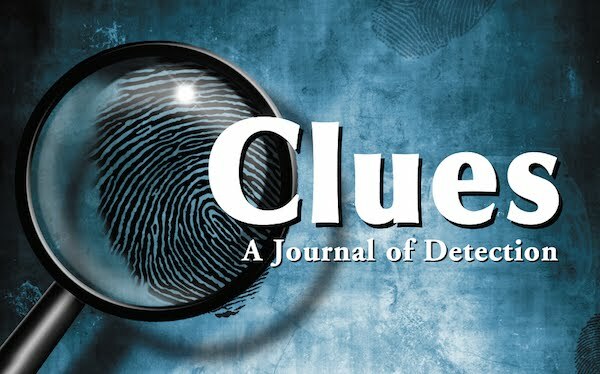 Published biannually by McFarland & Co., the peer-reviewed Clues: A Journal of Detection features academic articles on all aspects of mystery and detective material in print, television, and film without limit to period or country covered. It also reviews nonfiction mystery works (biographies, reference works, and the like) and materials applicable to classroom use (such as films). The first issue of Clues was published in 1980, with the late Pat Browne as editor. The journal is now in its 34th volume year, with Janice Allan (University of Salford, UK) as executive editor and Elizabeth Foxwell (the Catholic University of America) as managing editor.